We encourage regular dental check-ups as part of complete dental care. These appointments with our experienced dental hygienist include dental cleanings, diagnostic x-rays when necessary, oral cancer screening, gum disease evaluation, examination for tooth decay, and an examination of existing restorations. At every check-up we provide the latest tips and techniques for improved brushing and flossing and for overall good oral health. 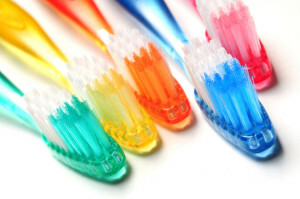 We regard prevention as a very important part of good dental care. Cutting edge, high-tech digital X-rays are an important part of the diagnostic process. Digital X-rays reduce the quantity of radiation by 80-90% from traditional film X-rays. The instantaneous pictures of your teeth can be uploaded to a large screen so your doctor, hygienist and you can observe and talk about anything that is occurring in your mouth. X-rays help diagnose problems with the teeth, gums and bone that cannot be detected with the naked eye. Frequently they are an essential part of the diagnosis. Discovering dental problems with X-rays at an early stage may save you money, unnecessary discomfort, and ultimately your teeth. The preliminary stage of gum disease is called gingivitis and it starts when the bacteria in plaque and calculus (tartar) exacerbates gum tissue causing tenderness, inflammation and bleeding of the gums. The gums and bone are the foundation for the teeth. When gum disease is not treated early it will start to erode this foundation. This is periodontal disease. Your doctor and hygienist will collaborate and assess your gums at your first appointment as well as at each checkup to determine appropriate treatment and home care that might be necessary. At every dental checkup the doctor will do oral cancer screenings. The doctor will examine your entire mouth for cancer and precancerous lesions. Oral cancer will start with a growth or sore in mouth that will not go away. Early detection is crucial for the proper treatment and most importantly your survival. Clenching and grinding at nighttime can cause dental problems. Our custom fit occlusal guard will help protect your teeth by stopping the progression of wearing down teeth, relieving muscle soreness, and also eliminating headaches that are caused by these nighttime habits. We also make customized sports guards to protect your teeth or your child’s teeth while playing sports.